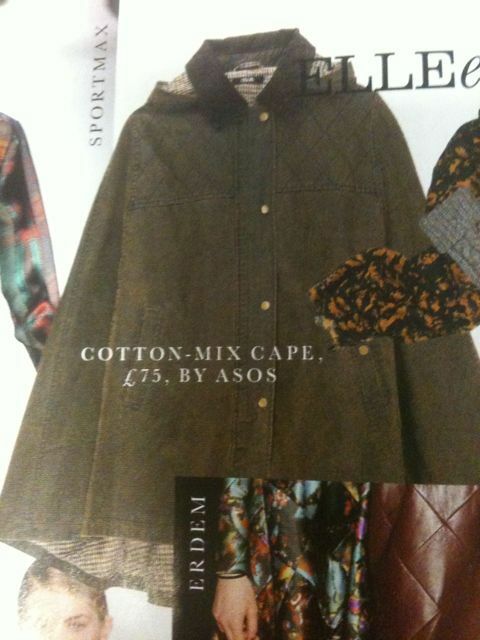 Love this cape from ASOS – not that I have any cause for any more coats. Still, can’t help but imagine about 50 outfits I have planned for this season which would be vastly improved by the addition of this waxed beast. It’s not online just yet – hence the swiftly snapped pic from the new issue of ELLE.